If you enjoy spending countless hours watching Netflix, blockbuster films and movie trailers as well as listening to music, this is the spot for you. 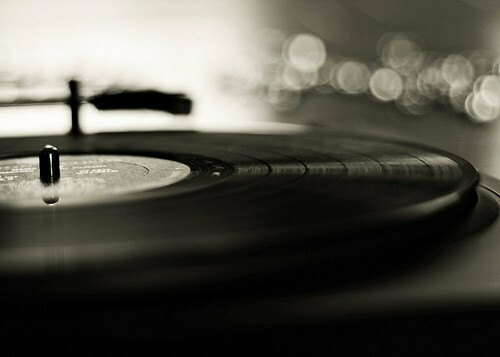 Reel vs. Record spotlights the music featured in music and TV shows. I'm currently on hiatus, but I'll be back with new content a little later this year. To quote Andy Dwyer, Parks and Rec was my Verizon Chipotle Exxon. The seventh and final season ended last Tuesday, and now I have an empty hole in my Tuesday nights. While I’m a little bitter about how this last season was handled (only 13 episodes over two months, NBC? Really? 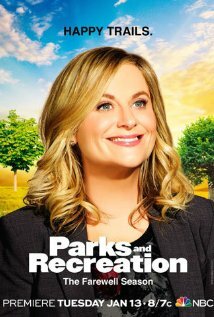 ), there were some really great musical moments that truly captured the essence of Parks and Rec, which I’m going to highlight here. “Buddy” is the background music to Ron Swanson and Leslie Knope’s reconciliation. After years of fighting and essentially hating each other, the two made up and viewers were given a lovely montage of their friendship re-blossoming. We already know Ron has a love of Willie Nelson, making this choice all the more perfect. After we were already emotionally wrecked by this beautiful friendship, Parks and Rec threw another curveball during the finale when we see a flash-forward of Ron in the future. Leslie has given him the position of running Pawnee National Park, and as he happily paddles across the lake in his canoe, “Buddy” plays again, effectively making viewers cry all over again at Ron Swanson’s perfect ending. Crying is acceptable and funerals and the Grand Canyon. And the Parks and Rec series finale. For more poetic gems of wisdom from Ron Swanson, visit this link. 2) After that touching tribute, I’m going to lighten things up a bit. 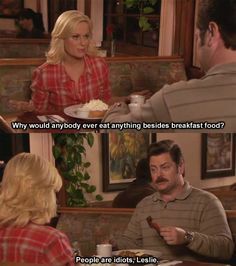 During Ron and Leslie’s spat, in her usual Leslie Knope way, Leslie tries everything she can to get Ron to stop giving her the cold shoulder. He refuses, until she pulls out a boombox (in true ’00s fashion) and an old CD containing song selections by all the parks employees. Jerry picked “We Didn’t Start the Fire” by Billy Joel (dammit, Jerry). Now, I HIGHLY recommend watching Leslie’s version here. You will never hear “We Didn’t Start the Fire” the same again. Plus, Duke Silver makes an appearance. To wrap things up, I leave you with the Mouserat anthem, “5000 Candles in the Wind.” Peace. NOTE 2: Please excuse the random periods. WordPress is being extremely glitchy with spaces today, so for right now this is my solution. Have a lovely week!